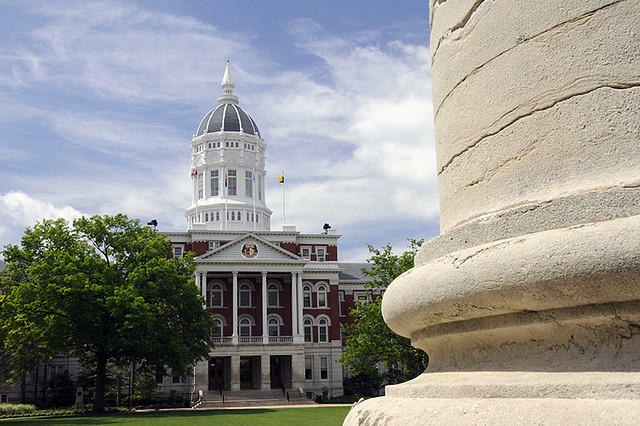 The University of Missouri has seen grades steadily rise, like most colleges and universities across the nation. The Kansas City Star reports that grades keep climbing at less selective schools and on elite Ivy League campuses. In national surveys, faculty say they feel pressured to boost grades as students, parents and campus administrators steer them toward doing so. Some faculty say they get better evaluations when they grade higher, decreasing the risk that their teaching status would change if less students took their class. University of Missouri professor R. Lee Lyman breaks the mold in his introductory archaeology class by sticking with the same grading scale he's used for more than 30 years. Fewer than half of the 25 sophomores in his class in 2014 earned an A. Two got D's and two flunked.